When the disciples asked Jesus how to pray, said he taught them the Our Father (or the Lord’s Prayer). This prayer is perfect, not only because of the simplicity of its words but also because of what it represents. I bet you’ve heard or prayed the Our Father a thousand times. But do you know what it is about? Our Father, who art in heaven: Not “my Father,” as if God is only for the individual. God is our Father, meaning we not only have an amazing dad, but we are all part of an incredible family! The phrase “who art in heaven” acknowledges God’s glory in all eternity. Hallowed be Thy name: We live in a culture that uses the name of God a lot but usually not for sacred things! The word hallow in this context is “to recognize as holy.” We want the world to know that God’s name is holy. 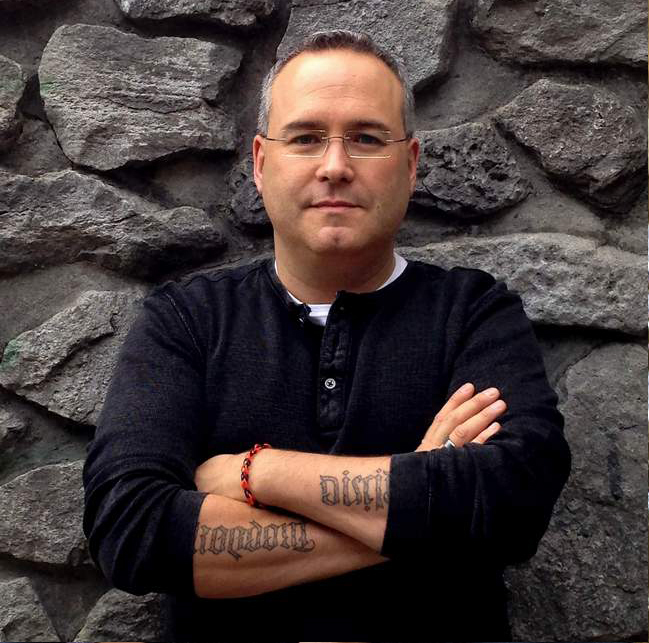 Thy kingdom come: Did you know you were praying for the end of the world? We not only pray for the future but also for today, that His kingdom will continue to grow until He comes again. Thy will be done: We want what He wants, knowing that His will is the best for us and for the world. Give us this day our daily bread: Bread refers not only to our earthly nourishment but also to our eternal nourishment: Jesus is the Bread of Life. We ask for what we need today for our bodies and our souls. Forgive us our trespasses as we forgive those who trespass against us: Notice the phrase “as we forgive.” We’re not just asking for mercy; we’re also expressing mercy to others. This is necessary if we are to hope for mercy from God (see Matthew 18: 23– 35). Lead us not into temptation: Though God will give us opportunities to prove our faith, He never tempts us with sin, like the devil does. We ask to remain strong in times of temptation so that, by His grace, we will not fall into sin. Deliver us from evil: The “evil” referred to here is the devil. This final petition asks God to show His victory over the devil and save His children (also known as us). It’s amazing how much is packed into this “perfect” prayer! But the words only make a difference if we mean them. So as a way to “cool down” after your workout, pray the Our Father every day. But don’t speed through it. Take some time to think about what the words mean. 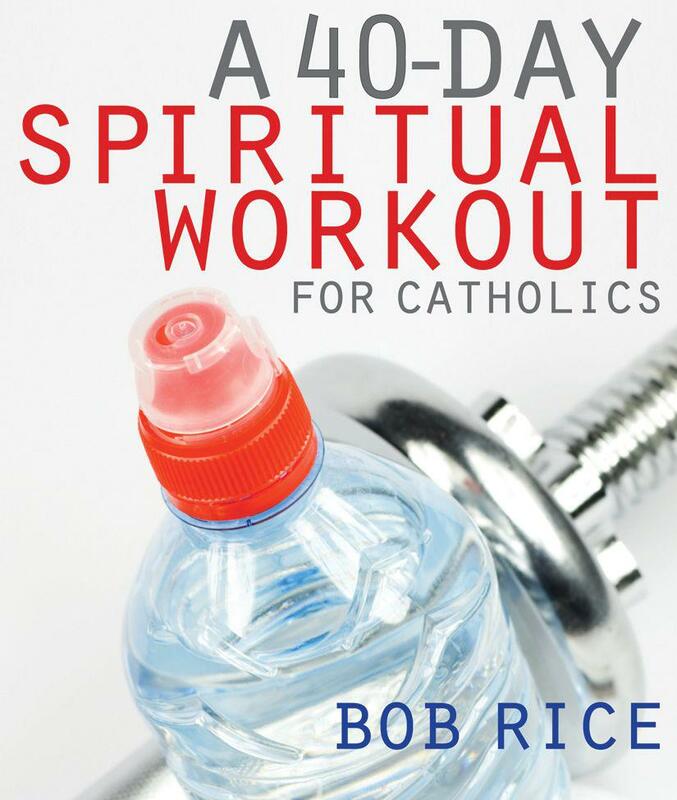 There is no better spiritual workout than that. Rice, Bob (2013-01-22). 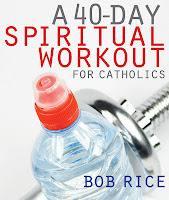 A 40-Day Spiritual Workout for Catholics (pp. 15-16). Servant Books. Kindle Edition. Note: Review to follow after the 40 days are done.